As President of the Anesthesia Patient Safety Foundation (APSF), it is my privilege to report annually on the activities of the foundation during the past calendar year. As in my last annual report, I believe it is important to recognize that the APSF, as an advocacy group, does not write standards. Recommendations developed and promulgated by the APSF are intended to assist professionals who are responsible for making health care decisions. Recommendations promulgated by the APSF focus on minimizing the risk to individual patients for rare adverse events rather than necessarily on practices that balance all aspects of population health quality and cost. The APSF does not intend for these recommendations to be standards, guidelines, or clinical requirements, nor does application of these recommendations guarantee any specific outcome. Furthermore, these recommendations may be adopted, modified, or rejected according to clinical needs and restraints. The APSF recognizes that these recommendations are subject to revision as warranted by the evolution of medical knowledge, technology, and practice. The APSF is pleased to congratulate Jeffrey B. Cooper, PhD, for his well-deserved selection as the 2014 recipient of the prestigious ASA Distinguished Service Award. 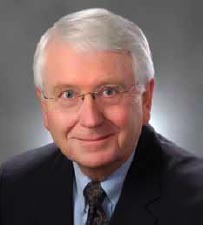 Dr. Cooper was a founding member of the APSF Executive Committee in 1985 and has continued to lead anesthesia patient safety efforts during his illustrious career. The report of this multispecialty conference held on September 11, 2012, may be viewed on page 52 and on the APSF website (www.apsf.org). The consensus of the 87 attendees was the need for an informed consent process for patients considered to be at risk for POVL. The informed consent process should include known risk factors for POVL and interventions that may reduce the risk of POVL caused by ischemic optic neuropathy. Residual Muscle Relaxant-Induced Weakness in the Postoperative Period: Is It a Patient Safety Issue? An APSF-sponsored panel at the NYPGA annual meeting on December 17, 2012, was moderated by Drs. Brull and Stoelting and included Drs. Eriksson, Kopman, and Murphy. There was general agreement regarding the need to recognize residual postoperative weakness from neuromuscular blocking drugs as a patient safety concern and the importance of objective monitoring to confirm recovery from the effects of these drugs. The APSF will sponsor a conference on Wednesday, September 18, 2013 (Royal Palms Resort and Spa, Phoenix, AZ), to address the safe use of advanced medical technology by anesthesia professionals. The goals of this conference will be to engage all stakeholders (anesthesia professionals, technology manufacturers, accrediting and regulatory agencies, professional technology organizations, insurers, hospital administrators, risk managers) to discuss and refine the existing APSF Committee on Technology’s ADVANCED MEDICAL TECHNOLOGY TRAINING document (see article and www.apsf.org). All those interested in this topic are encouraged to attend this APSF-sponsored conference. Please contact president@apsf.org for registration information. The APSF Committee on Scientific Evaluation chaired by Sorin J. Brull, MD, received 23 grant applications in 2012. In October 2012, the committee recommended funding 4 research awards totaling $596,000 to begin in January 2013. In addition, the APSF is partially supporting the MOCA GRANT and has announced the APSF/ASA Safety Scientist Career Development Award (SSCDA) ($150,000 over 2 years) beginning in July 2012. The next SSCDA will be funded beginning July 2014 and the application deadline is November 1, 2013 (contact president@apsf.org for grant guidelines and application). The APSF is the largest private funding source for anesthesia patient safety research in the world. Since the inception of the APSF grant program, 545 grant applications have been received by the APSF. When the first grants were funded in 1987, funding for anesthesia patient safety was virtually unknown. Since 1987, the APSF has awarded 98 grants for a total of more than $7,670,000. The impact of these research grants is more far-reaching than the absolute number of grants and total dollars, as APSF-sponsored research has led to other investigations and the development of a cadre of anesthesia patient safety investigators. The APSF Newsletter continues its role as a vehicle for rapid dissemination of anesthesia patient safety information with Robert C. Morell, MD, and Lorri A. Lee, MD, as co-editors. The circulation of the APSF Newsletter exceeds 107,500 recipients and is provided as a member benefit by the ASA, American Association of Nurse Anesthetists (AANA), American Association of Anesthesiologists Assistants (AAAA), American Society of Anesthesia Technologists and Technicians (ASATT), American Society of PeriAnesthesia Nurses (ASPAN), American Society of Dentist Anesthesiologists (ASDA), American Dental Society of Anesthesia (ASDA) and the American Association of Oral Maxillofacial Surgeons (AAOMS). In addition to the electronic version of the APSF Newsletter, a hardcopy is mailed to all members of the ASA, AANA, AAAA, ASPAN, and ASDA. The “Question and Answers” and “Dear SIRS” (Safety Information Response System) columns in the APSF Newsletter provide rapid dissemination of safety issues related to anesthesia equipment in response to questions from readers. These columns are coordinated by Drs. A. William Paulsen (chair, APSF Committee on Technology) and Robert C. Morell (co-editor, APSF Newsletter). The value of industry to anesthesia patient safety is reflected by these columns. The APSF website design and appearance (www.apsf.org) continues under the direction of APSF executive vice president, George A. Schapiro. The APSF website includes a monthly poll question related to anesthesia patient safety issues. The poll question is coordinated by Timothy N. Harwood, MD, a member of the APSF Committee on Education and Training, chaired by Richard C. Prielipp, MD. Online donations to the APSF are possible via the website. Sorin J. Brull, MD, chair, APSF Committee on Scientific Evaluation, continues as the Patient Safety Section editor for Anesthesia and Analgesia. APSF sponsored a panel on Operating Room Medication Safety: Mishaps, Missteps and (Mis) Management at the May 2012 annual congress of the International Anesthesia Research Society. The panel was moderated by Richard C. Prielipp, MD, chair, APSF Committee on Education and Training. “provide open delivery of 100% oxygen via a nasal cannula or face mask” to at risk patients requiring supplemental oxygen to maintain an acceptable arterial oxygen concentration. After viewing the fire safety video, this percentage decreased to 1.8%. The Food and Drug Administration (FDA) Safe Use Initiative has undertaken a fire safety initiative based on the initial role of APSF and ECRI Institute in bringing this safety issue to the forefront. Between April 1, 2010, and June 1, 2012, the APSF had received more than 5,000 individual requests for the complimentary fire safety DVD (https://www.apsf.org/resources_video.php). APSF Fire Prevention Algorithm to increase awareness of the risk of operating room fires was endorsed by ASA, AAAA, AANA, ASATT, American College of Surgeons, ASPAN, Association of periOperative Registered Nurses, ECRI Institute, Food and Drug Administration Safe Use Initiative, National Patient Safety Foundation, and The Joint Commission. On January 1, 2012, the APSF announced the availability of a complimentary 18-minute educational DVD entitled, Medication Safety in the Operating Room: Time for a New Paradigm (https://www.apsf.org/resources_video2.php). The APSF had received more than 1800 individual requests to receive the complimentary medication safety DVD (https://www.apsf.org/resources_video2.php). The APSF conducted a survey among 2229 anesthesia professionals to determine the support for a checklist and the recommended content. A total of 739 respondents completed the online survey, and the results will be presented in a subsequent issue of the APSF Newsletter. The next step will be a RFA to study the implementation and performance of the proposed checklist template. Financial support to the APSF from individuals, specialty and component societies, and corporate partners in 2012 has been most gratifying. This sustained level of financial support makes possible the undertaking of new safety initiatives, the continuation of existing safety initiatives, and funding for anesthesia patient safety research. The level of research support is particularly dependent on the level of financial support received. The APSF website permits “online” credit card contributions. Go to “Donate” on the APSF home page and follow the prompts. The APSF wishes to thank retiring Board of Directors members Nassib G. Chamoun (APSF vice president) and Sally T. Trombly, JD (long-time member of the APSF Scientific Evaluation Committee). We are pleased to welcome Jason R. Byrd, JD, to the APSF Board of Directors. Robert J. White, Covidien, was elected from the Board to a Member at Large position on the APSF Executive Committee. As in the previous annual report, I wish to reiterate the desire of the APSF Executive Committee to provide a broad-based consensus on anesthesia patient safety issues. We welcome the comments and suggestions from all those who participate in the common goal of making anesthesia a safe experience. There remains much still to accomplish and everyone’s participation and contributions are important. Best wishes for a prosperous and rewarding year 2013.